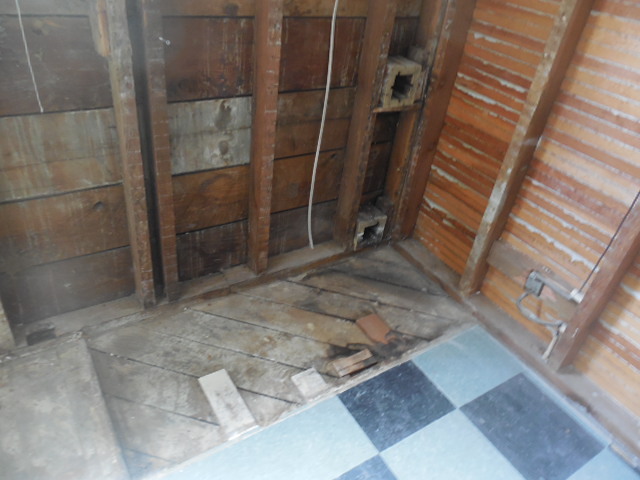 Our neighbors Rob and Marti are carefully and heroically remodeling their 1923 bungalow kitchen. They’re doing a great job. 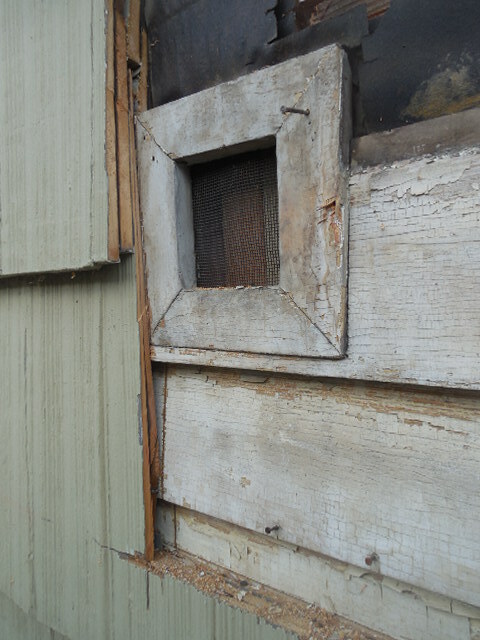 We’ve been following their progress and in a recent driveway conversation, Rob held up an old house part (the square frame in the photo below) and asked a kitchen archaeology question we thought other old house readers might be interested in reading about too. Recognize this? 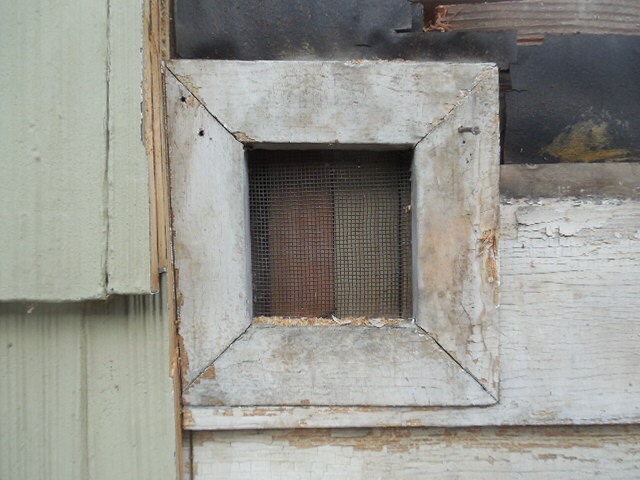 It’s the face of a vent removed from an outside kitchen wall, one of two that were part of an early and natural cooling method known as a “California Cooler.” In a time before refrigeration—and borne out of the bungalow ethic of keeping things simple and natural—these indoor cabinets were the next best thing and were built into many eastside kitchens and homes. Here’s how they worked: the vents were stacked vertically one at the bottom of the cabinet and one near the top, and always placed on an outside wall. Maybe you have seen the exterior evidence: two small frames with screen or mesh on an outside kitchen wall. Here’s what they looked like from the inside. The old cupboard has been removed showing just the vents. Inside the kitchen, the vents led into a cabinet with shelves, which were often just slats with space between to promote ventilation. The cabinet or cupboard had a door on the front, just like any other cupboard in the kitchen. But the physics of convection made this cupboard different: warm air would escape through the top vent, which acted like a chimney, and cooler air was drawn in through the bottom vent. The result was a measurably cooler space that kept foods fresher longer, and promoted cooling for just-baked items. The extremes of summer and of winter obviously weren’t optimal (“honey, why is it so cold in the kitchen?”). But they did work, and were omnipresent in the older homes we love. Today, some kitchen designers and builders interested in sustainability and energy efficiency are even recreating this old technology for the same reasons they were first installed a century ago. Now that you know what to look for, keep your eyes peeled when you are out and about in the neighborhood for twin openings on an exterior kitchen wall, and chances are you are seeing evidence of a California cooler. Do you have one? Send us a photo. Ah yes… I remember having a cooler cupboard in the house where I grew up.The house was built around 1935 in the Dolph Park area.This was the cupboard where we kept the butter. It was on the North wall of the house, so it was also the coolest place in the summer. The difference, we only had one vent, not two. Not really related, but that kitchen did not have any electrical outlets. We used an extension cord from the breakfast nook for the mixer. As I remember that was the only electrical appliance that we used. We kept a toaster in the breakfast nook on an orange crate turned on end. Even the refrigerator was in a separate area on a landing leading to the back door.